Katherine Langford 13 Reasons Why Maroon Cotton Jacket Jackets are becoming so popular nowadays that everyone is just going crazy after them like anything and these days jackets are not only worn for the purpose of protecting oneself fr.. 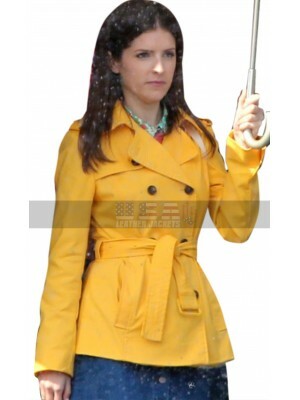 The astounding yellow jacket is all you need for the season! The latest style genre is a perfect pick from the drama thriller movie “A Simple Favor,” starring the ever-bubbly Anna Kendrick as Stephanie Smothers. Her performance is a revelation so as ..
Wrap up in the new season’s layering with this stunning blue parka. Stick to an incredible sporty styling with a bomber taken to live from the latest drama thriller ‘A Simple Favor’. The fabulous outerwear gives you a trendy outlook with its padded s.. Reveal into the spirit of Christmas having this vivacious outerwear from the movie A Veteran’s Christmas. 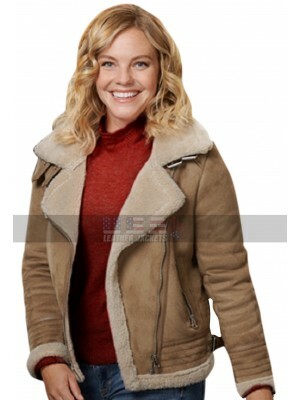 Inspired by the gorgeous American actress Eloise Mumford style roster; this astounding leather jacket is made from top quality suede material to..
Sea of Monsters was an adventure movie, released in 2013. 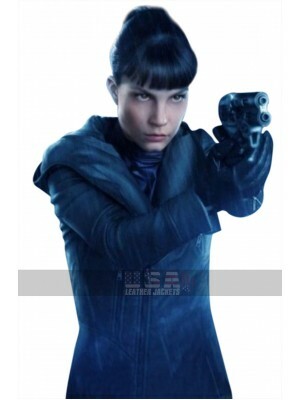 It was a big hit on Box office and earn dollars and hearts of the people. Alexandra Daddario plays the main female lead role in the movie and was appreciated by the viewers. She wore this jack.. 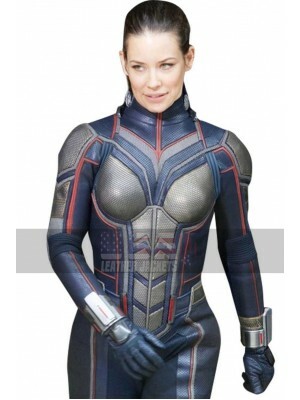 The Wasp Evangeline Lilly Leather Jacket Hope van Dyne or Wasp is one of the most famous Marvel Comics characters that was once appeared in 2015 movie Ant-Man and later appeared in its upcoming sequel Ant-Man and the Wasp. 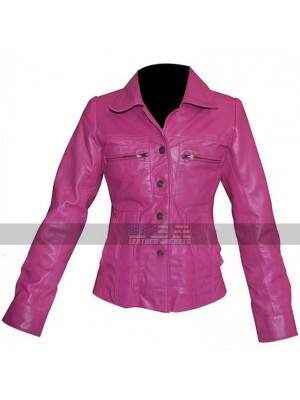 The character of Wasp ha..
Baby Driver Darling Darling Eiza González Purple Cotton Jacket These days the popularity of the clothing carried by celebrities is taking a toll on the minds of people more than the celebrities themselves and this always calls for being..
Scarlett Johansson Captain America Brown Jacket Ladies have always been found to be much included towards the best-looking clothing no matter what event and what season it is about they just need the best to wear. 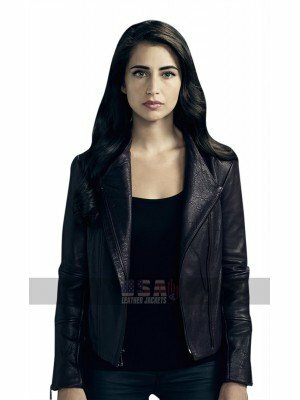 This Black Widow Jacket is a perf..
Blade Runner 2049 Luv Hooded Black Jacket As the name suggests this jacket has been a celebrity inspiration and appeals to the buyers like anything. 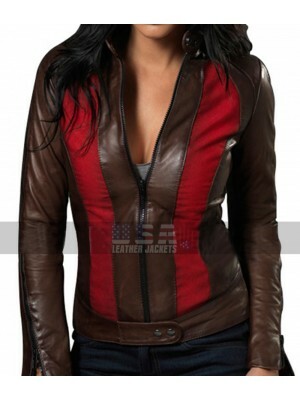 This jacket is a pretty decent and simple choice which attracts many women out there just because ..
Blade Trinity Abigail Whistler Slimfit Leather Jacket Stylish and trendy leather jackets have not these days only been in hype among the men in fact women these days also look for the most appealing looking jackets which add beauty to them in term..
A neatly minimal clothing piece, crafted with the superb quality wool material has been brought to limelight for all female fashionmongers who wish to look unique and distinctive. 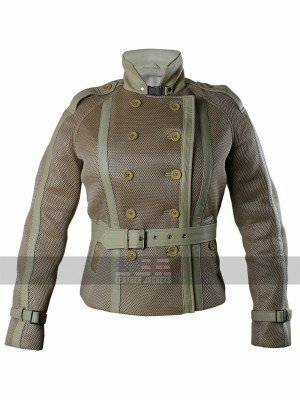 The fantastically created wool jacket has taken revelation from the dr..
BloodRayne 3 Black Leather Trench Coat Trench coats are something very unique and different and when it comes to the idea of getting hands on something trendy to go for. 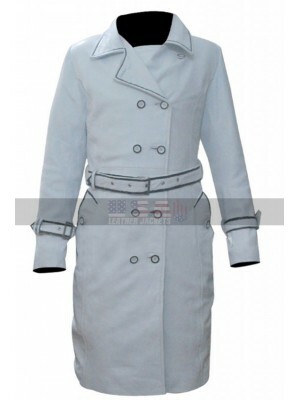 This coat has been made using the different kinds of materials being either a..